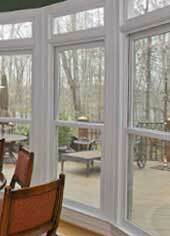 Looking for a home improvement specialist in Apex, NC to work on your windows, siding, roof or house exterior? 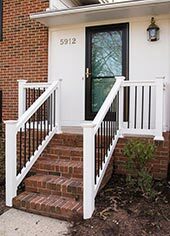 The Aluminum Company of North Carolina is Apex’s premier home improvement specialist. 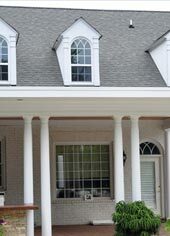 Our experienced team provides installation of maintenance-free products that will add functional elegance to your Apex home. Contact us for more information about the Apex home improvement services we offer. 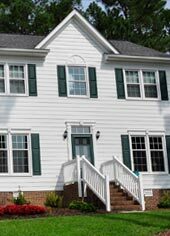 Improve your home’s exterior with new, maintenance-free vinyl siding installed by The Aluminum Company. 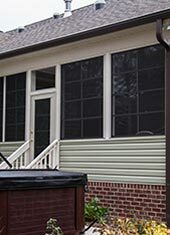 We install both Alside and Hardieplank siding. Call us for a free quote on new siding for your Apex home! At The Aluminum Company, we’ve been replacing roofs for homeowners since 1961. 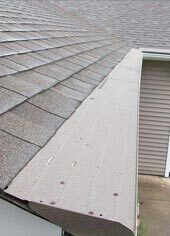 When you need to have your Apex roof replaced or repaired, call us for a free estimate. Dread cleaning your gutters? Our Apex gutter experts can install Gutter Helmet over your existing gutters, making them maintenance-free and helping them drain better. 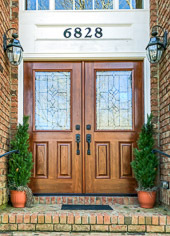 New entry doors can make a huge difference in both the appearance and functionality of your home. 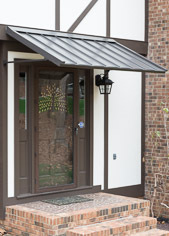 Increase your Apex home’s value and lower your energy bills by having The Aluminum Company of North Carolina install ENERGY STAR® qualified doors. 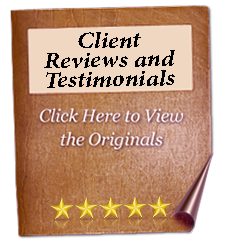 Contact us today for a free, no-obligation estimate.